We understand that when you refer your patient to us, you are trusting us to provide the highest level of care and service. We take this very seriously. 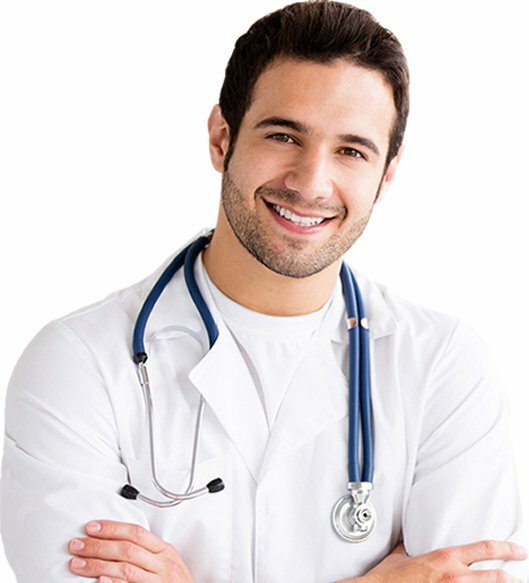 Whether you are referring a patient to us for diagnosis, treatment, or a second opinion, we will do our best to keep the referring physician informed of the patient's care. To refer a patient, please call our main office at 415-668-8010. We know you have a choice of which providers to whom you can send your patients. Several factors may weigh in your decision. Several factors contribute to the overall quality of patient care in orthopaedics. We constantly strive to improve patient outcomes by employing the latest evidence-based medical and surgical practices. Our surgeons are board-certified with expertise in a wide variety of evidence-based practices. We offer four convenient locations — three in San Francisco and one in Marin County — near public transportation and other services. At California Pacific Orthopaedics, we've made physician assistants an integral part of our patient care philosophy. We know that health care facilities that employ physician assistants are better able to treat and refer patients in a timely manner with the highest quality of patient care and attention than those that don't. There are many advantages for a patient to see a physician assistant. Our physician assistants work alongside and as an extension of the physician, allowing each patient to receive more specialized and individualized care. This means that patients are seen sooner and their concerns are addressed more quickly than in clinics that don't employ physician assistants. Additionally, physician assistants have more time to answer questions, explain procedures, and prepare a patient for their course of care. Our physician assistants make patients feel fully supported and well taken care of. At California Pacific Orthopaedics, physician assistants see patients in both clinical and surgical settings. They see patients for various orthopaedic conditions ranging from repetitive stress injuries to acute traumatic injuries. Physician assistants assist the physician in surgeries when needed in conditions that require a surgical component benefit from increased continuous care. Physician assistants rely on their own extensive training when seeing patients, while drawing on the expertise of our physicians to provide the best care possible. One of our physician assistants described herself as a "physician extender," as she helps patients get the most out of their visit to CPOSM and the best care from their physician. Click here to learn more or contact our fellowship coordinator Chris Jara at 415-392-3225.